On these pages are pictures of one of America's most famous baseball fans-Laraine Day Durocher. 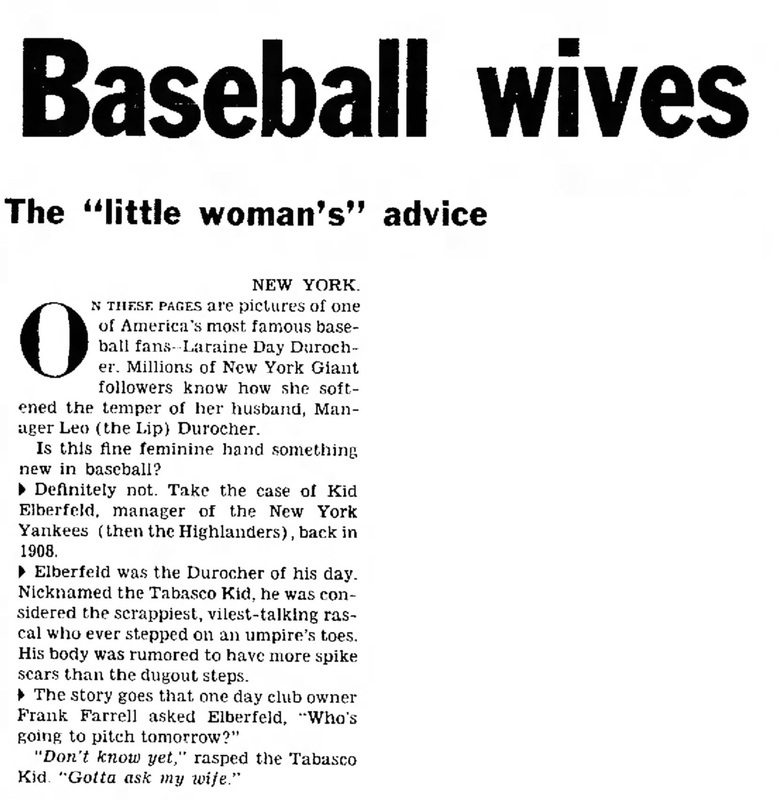 Millions of New York Giant followers know how she softened the temper of her husband, Manager Leo (the Lip) Durocher. Is this fine feminine hand something new in baseball? Definitely not. Take the case of Kid Elberfeld, manager of the New York Yankees ( then the Highlanders) , back in 1908. Elberfeld was the Durocher of his day. Nicknamed the Tabasco Kid, he was considered the scrappiest, vilest-talking rascal who ever stepped on an umpire's toes. His body was rumored to have more spike scars than the dugout steps. The story goes that one day club owner Frank Farrell asked Elberfeld, "Who's going to pitch tomorrow?" "Don't know yet," rasped the Tabasco Kid. "Gotta ask my wife."